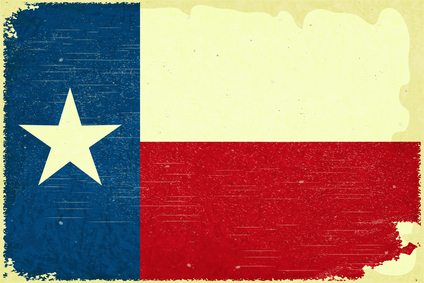 There have been a flurry of announcements of new fundings for Texas startups. Let’s get caught up with the latest innovation news. —Hail Merry, a Dallas maker of raw, plant-based snacks, has raised a little over $1 million as part of a planned $1.26 million financing. The decade-old startup makes snacks and desserts that are gluten-free, vegan, paleo, and don’t use GMO ingredients, the company says on its website. —PostItPlayIt, a peer-to-peer competition startup, has raised $1.59 million. The startup, which is based in the Dallas suburb of Addison, TX, enables users to create their own contests, such as e-games or fitness challenges, and compete against friends, family, or others. PostItPlayIt president and CEO Drew Eckman told Dallas Innovates that the company would use 25 percent of the funding on its software product, roughly 25 percent to scale operations, and the remainder for new customer acquisition. —Rollick, which makes marketing software for companies in the powersports, RV, marine, and industrial equipment industries, has raised $8.3 million. The funding round was led by LiveOak Venture Partners in Austin, and included new investors such as Anthem Venture Partners and ManchesterStory Group as well as existing investors Silverton Partners, Autotech Ventures, and Capital Factory. This fundraising brings the total investment raised by Austin-based Rollick to $14 million. —Shipwell, an Austin freight shipping software startup, has raised a $10 million Series A round of funding. Fifth Wall, a Venice, CA-based venture firm, led the round with participation from Global Founders Capital, Aspect Ventures, First Round Capital, Base10, and Village Global. The new money brings the company’s total fundraising to $12.1 million. The company said it plans to use the funding for marketing, further software development, and to make new hires. —The Guild, an Austin startup that converts apartments into hotel-like rooms for rent, has raised $9 million in a round led by Seattle-based Maveron with participation from Convivialite Ventures in San Francisco and Corigin Ventures in New York, according to TechCrunch. The Guild has properties in Austin, Dallas, Miami, Cincinnati, and Denver. The Guild seeks to differentiate itself from traditional hotels with its technology, the article states. Guests, for example, can get food deliveries from UberEats and DoorDash. —Austin Cocktails, which makes and sells ready-made alcoholic drinks, has raised $4.2 million in funding. The company was founded by two sisters, Jill Burns and Kelly Gasink, in 2012. It makes five cocktails, including a cucumber vodka mojito and a bergamot orange margarita. —OJO Labs, an AI-based real estate tech startup, has acquired WolfNet Technologies, a real estate data manager based in St. Louis Park, MN, according to Austin Inno. WolfNet brings Austin-based OJO the ability to pull listings in order to build databases for about 100 million properties. Both companies will keep their brands. —Oracle has announced the first class of startups in its new accelerator in Austin. Each of the startups is focused on “cloud-based innovation,” the company said in a press release. Oracle does not take equity stakes in participating startups, and connects founders to the tech company’s more than 430,000 customers worldwide.